Nothing better illustrates the usefulness of public sociology as a venue for civic engagement than to reflect on the awkward relationship that exists between sociology and policy. On the one hand, they seem superficially adjacent, as if sibling disciplines. For example, it is not uncommon for a sociologist to profess the “policy-relevance” of his or her own work. In fact, “policy-relevance” is generally the most basic and intuitive way to imagine our work as important at all. Likewise, subfields such as the study of the welfare state or urban poverty treat policy as a central object of analysis, thereby further blurring disciplinary boundaries that already seem porous and vaguely defined. However, scholars who overstep rather than merely straddle the line between sociology and policy find that the distance between the two is deceptively vast. My coauthor (Katie Kerstetter) and I learned this lesson in vivid detail as we set out to prepare for George Mason University’s Public Sociology Graduate Conference last fall semester a presentation based on a policy paper that we would soon submit to an edited collection entitled, Agenda for Social Justice. Trained as a sociologist, the conventions of policy paper writing initially had me feverishly scratching my head. Just imagine my bewilderment in being told to limit our contribution to 10 pages or less, to refrain from citing the source of every assertion we made, and (my favorite) to “minimize the jargon.” Trained in the public policy world, Katie felt more comfortable excising jargon and developing arguments via bullet points but experienced a similar sense of bewilderment when it came time to add “Theory” to our policy argument. While the conventions of policy paper writing took some getting used to, our greatest challenge still lay before us: transforming such a paper into a presentation of interest to an academic audience. This is not to say that we were ultimately successful in doing so but in either case I can report some insights. First, academic and policy outlets seem to be interested in different aspects of the problems we study. This is how a policy paper about limited equity cooperatives as an underutilized policy instrument became an academic presentation about limited equity cooperatives as an example of organizational nonconformity. Both are important potential contributions but the former tries to fill a practical gap and the latter a conceptual one. But situating such a project in an academic literature, as we must do if we intend to publish in academic outlets, threatens to abstract the discussion from the more pragmatic concerns of the policy world. This leads into a second insight: the answers we as academics give to theoretical puzzles tend to raise still more questions, while the answers we give to policy questions are expected to settle them. For example, in our policy paper we explicitly advocate in favor of one policy instrument over another, a move less likely to win success in purely academic outlets. Naturally, some of the toughest questions we received when fielding questions concerned the challenge of conveying to our audience a sense of balance in our consideration of various policy instruments. Finally, we found that it was helpful to actually inform our audience beforehand that our project was one of translating between academic and policy worlds, thereby inviting them to participate in this messy process. We decided to do this as a strategy of making our presentation more intelligible, but the results exceeded our greatest expectations, as the audience asked great questions and took seriously the challenge of producing knowledge of interest to academic and policy audiences. Unfortunately, such opportunities for fruitful dialogue appear to be rare. Most often, it seems that scholars have to choose: academia or policy? This is why venues like GMU’s burgeoning public sociology graduate conferences are so invaluable. It is true that the process of developing our presentation became for us an occasion to reflect on how the policy and academia worlds seemed so starkly dissimilar. The presentation itself, however—and our engagement with co-presenters and the audience afterward—reminded us of what can happen when so many brilliant minds are brought together toward a worthy cause. When a conference can do this it creates borderlands, full of productive exchange, where once there were only boundaries. For these reasons, I would like to sincerely thank the organizers of GMU’s public sociology conference for a job very well done. 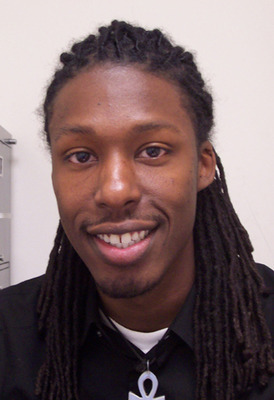 John N Robinson is in the Sociology PhD program at Northwestern University. His research interests gravitate around the areas of urban sociology, law, and social policy. In his current project he studies tenant legal campaigns against public housing demolition and redevelopment in the wake of the HOPE VI policy in particular and welfare state decline more generally.